Just off the coast of Sicily lie the unspoilt Aeolian Islands, one of Italy’s best-kept secrets. 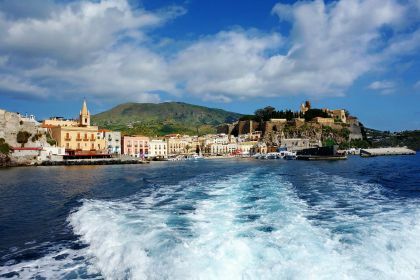 Lipari is the biggest island of the archipelago and a fantastic base for exploring the other islands. Frolic in azure water, take leisurely walks in the mountains and relish the phenomenal gastronomy that these islands offer. Feel free to call us or contact us online right here. 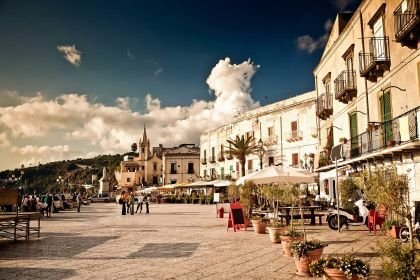 Your friendly Abberley broker will answer any question you may have about Sicily, the Aeolian Islands or any other destination of your choice. If you head your yacht northwest from Sicily’s medieval city of Cefalu, you will reach Lipari in a couple of hours. 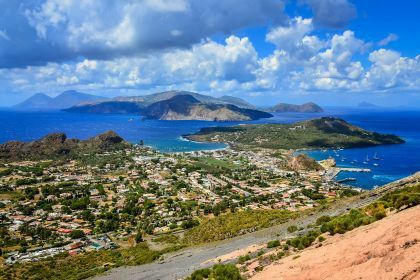 The largest of the Aeolian Islands (a volcanic archipelago in the Tyrrhenian Sea) offers the most sophisticated infrastructure, dramatically beautiful coastal views, lively outdoor activities, cozy trattorias and fascinating Roman and Neolithic artefacts. The island’s main town is also called Lipari. There is no shortage of cultural and artistic attractions. The Museo Archeologico Regionale Eoliano offers the best views of Lipari town and is a treasure chest of excavated Roman dwellings and fortifications, and perfectly preserved and comprehensively labelled pots and utensils created by people who lived on the island some 7000 years ago. The Museo Archeologico Regionale Eoliano is ranked fourth among all European archeological museums for good reason. Its exquisitely preserved collection will offer you a glimpse into an ancient, fascinating past. If your tastes lean more to beaches and the great outdoors, don’t miss idyllic Havana Beach in the north of Lipari Island. The defunct pumice mine is now a picture postcard-perfect paradise of white sand and turquoise seas. It offers stunning views and a kaleidoscope of blue and green water. The only downside is that a glut of visitors from the mainland and too many sun beds can spoil the charm. With your exclusive bird’s eye-view from the deck chair of your yacht, you fortunately don’t have to worry about this too much though. If you decide you do want to venture onto the land, don’t forget to wear your amphibian shoes to protect your feet from the pumice. To see a volcano erupting, head to Stromboli, the northernmost and smallest of the eight Aeolian (or Lipari) islands. Hike up the volcano, take a ride to the top or observe it from the convenience of your luxury yacht. Either way, it’s an impressive sight. It’s even possible to get closer and take a look at lava trails. It’s advisable to take a torch though unless you return to your yacht before nightfall. Scuba diving near the Aeolians offers spectacular marine treats. You’ll get to see plenty of barracuda, colourful flabellina and starfish. The most pressing reason to delve beneath the surface though is to view the otherworldly rock and volcanic formations. A prime viewing spot is around Vulcano, south of Lipari. The smallest of the habitable Lipari islands, Panarea is known to be a celebrity hideaway. You’ll see plenty of luxury yachts, some charming restaurants, lush bougainvillea and imposing rocks. You may also bump into a few moguls, models and other celebrities such as Russian billionaire Roman Abramovich, Microsoft co-founder Paul Allen, fashion designer Giorgio Armani and supermodel Heidi Klum, to mention just a few. When it’s time to wind down at the end of the day, Gilberto e Vera in Lipari town is the place to sample the wonderful local wines and gourmet delights. The antipasti platters are generous and the selection of panini remarkably wide. The overall quality of food is top-notch. The cheese is local and grilled vegetables are fresh off the grill. No wonder it gets a hearty thumbs up from travellers and locals alike. 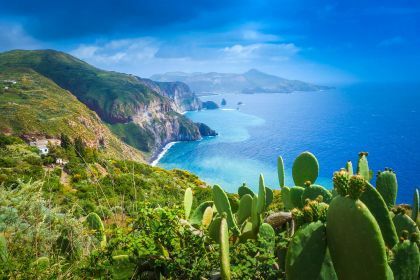 Whether this is your first island-hopping experience, or you’ve opted for this style of travel for years, you are guaranteed to be enamoured by the charms of a yachting holiday in the Tyrrhenian Sea, with shore stops in Sicily, Lipari, Stromboli and Panarea. Make contact with us, and we’ll make sure you get the most from your yachting holiday. We are here to help you plan every last detail of your memorable island-hopping adventure.